This role is perfect for a Bid Manager or Tendering Manager with experience in SCADA. A background in tendering / bidding for SCADA projects is essential to be considered for this role. This is a perfect opportunity for an ambitious person with a strong mix of technical and commercial experience who wants to join a company that priorities training development and career progression. Working within an established bid team, the Bid Manager will compile winning proposal submissions to allow the PA business to protect and grow its customer base; in line with agreed annual Sales forecasts and defined margins. Proposal submissions shall be led by the Bid Manager who will own the technical response and manage the communication protocol with all internal and external stakeholders. In the case of large opportunities, the Bid Manager will act as the focal point for all technical, commercial and financial deliverables, managing required resources to develop a winning proposal which forms part of the bid strategy. You will have a strong understanding of SCADA and experience with tendering and bid for projects. This includes experience with PPQs and ITT. As well as the chance to join a growing market leader and receive outstanding training and progression opportunities, there is a basic salary of £45k - £55k, a bonus of 8%, 28 days holiday + 8 bank holidays, private healthcare, outstanding pension and much more! 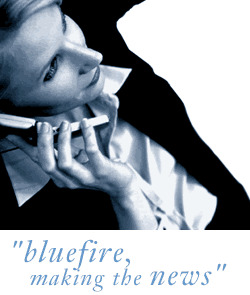 The Agency: Bluefire Consulting Ltd are a recruitment agency working on behalf of our client. Your application will be reviewed by the consultants of Bluefire Consulting Ltd.
We will only contact you within the next 14 days if you have been shortlisted for the role. Please consider yourself unsuccessful if you have not heard from us within 14 days.